Dr. Chérie Carter-Scott, MCC, known as the “Mother of Coaching,” has been a pioneer in the field of Human Development and Motivation since 1974. She started to coach and train coaches before it was a profession. She is the #1 New York Times Best Selling author of: If Life Is a Game, These Are the Rules, published in 40 countries with over four million copies sold; Transformational Life Coaching, a handbook for coaches; Negaholics: Stop Being Negative and Reclaim Your Happiness; and 14 additional titles. Dr. Chérie is an Executive Producer of the Coaching Movie, LEAP, a feature documentary just released in 2018. 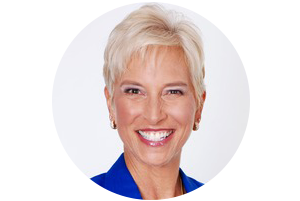 She has been a frequent guest on Oprah and has appeared on numerous international media tours that include: The Today Show, CNN, and dozens of TV, radio, and print interviews. Not only is she a media personality who has worked on five continents, in more than 30 countries, she currently trains coaches in Europe, Asia, and North America. Dr. Cherie, MCC is the CEO of The MMS Institute, LLC., a boutique firm which specializes in custom-designed personal development and professional training programs delivered by her team of highly skilled coaches. She has been identified by the ICF headquarters to be one of their 100 pre-eminent Assessors worldwide. Dr. Chérie is also a wife, mother, scuba diver, and instrument-rated pilot. 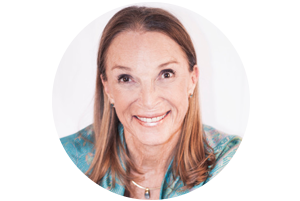 Ms. Stewart, Director of the MMS Worldwide Institute, BV based in Amsterdam, has 40 years of experience as an international Corporate Consultant/Trainer, and Personal Life-Design Coach. She is a proven expert on human relationships, both professional and personal. Using the unique MMS Coaching technology, coupled with her individual style, she creates bottom-line results for Fortune 500 clients. Some of her corporate clients include: GTE, Burger King, Royal Bank of Scotland, and Meredith Publishing. Ms. Stewart assists clients in the implementation of corporate visions, goals, and the integration of teams with Mergers and acquisitions. By creating an environment of safety, support and introspection, she facilitates clients in balancing their personal and professional lives. Clients consistently experience results that exceed their expectations, including job ownership, increased leadership, communication skills, and an expanded self-awareness. Lynn has been training in the US, Holland, Thailand, Vietnam, Dubai, and Hungary since 1988. She has been the director of The MMS Worldwide Institute, BV before taking on the global licensing responsibilities. 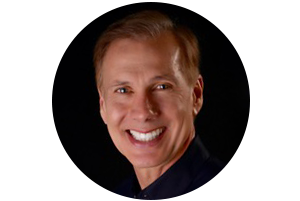 Coach Michael is currently an MMS Certified Coach holding a Professional Certified Coach (PCC) credential with International Coach Federation (ICF) and is a Certified Mentor Coach. MMS Institute is accredited through ICF to teach the ACTP, the ACSTH coaching programs, and CCE’s. Michael is a co-leader, coach, and facilitator with Dr. Chérie Carter-Scott, MCC. Michael has a BA in Business Management, with a minor in Psychology. He is an MBTI Administrator for Myers-Briggs Type Indicator. He coaches individuals on their profile type that indicate their work preferences, relationship balance, leadership behaviors, and communication style.